DoctorConnect.net will be at MGMA Texas! DoctorConnect.net is happy to be exhibiting again at this years MGMA Texas Annual Meeting. If you are attending, we hope to see you there! Getting patients in and out on time at a dental practice is key to the success of an office. The muscle behind the success of this method is proper appointment scheduling. Scheduling for a dental practice can be stressful with so many things going on in an office. By focusing on these seven appointment scheduling tips and automating your process, your dental practice will become a well-oiled scheduling machine. Time is money, and this couldn’t be more important than in a dental office. Most dentists plan their schedule with 15-minute increments between patients. This is lost money that quickly adds up and could prevent a practitioner from retiring on-time, if at all. We suggest shaving down your time between patients to 10-minutes. This may take some practice, but with automated software, your schedule will become more efficient and in the end, make you more money. Don’t let patient cancellations or unfilled time slots become the bane of your office. Get yourself familiar with a waiting list management system. This type of software helps automatically fill empty slots in your schedule. The software will send out dental appointment reminders via text to patients. Should one cancel, the text reminder app will then reach out to specific patients that could potentially fill this time slot, leaving you with zero money lost. 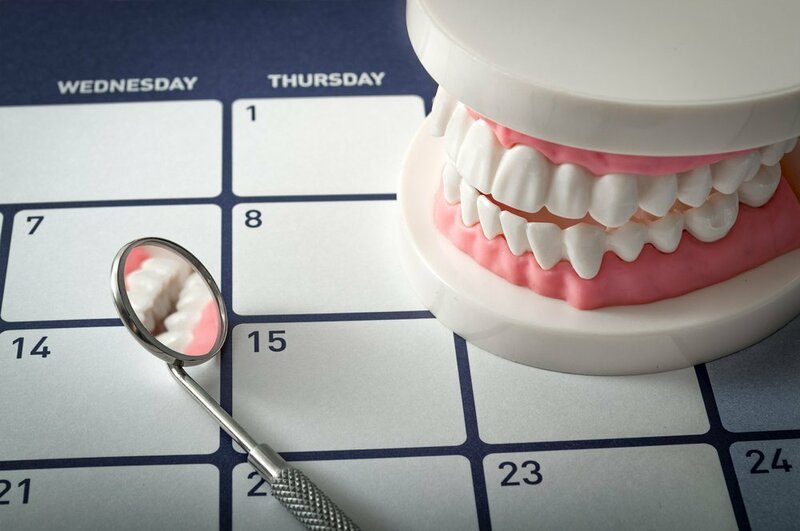 Scheduling ahead is always in your best interest as a dentist. This is especially true when you begin to develop lasting relationships with your patients. Your schedule will quickly become filled for the time being, but that is okay. As long as you have daily scheduling goals in place you will always be able to focus on the now and if the methods you are practicing are effective. A dentist cannot rely on new patients and dental emergencies alone to survive in the industry. Hygiene appointments are detrimental to your business’ success. With programs like DoctorConnect, you can use appointment scheduling software to plan out distant appointments with hygiene patients before they leave your office. This may sound like a basic suggestion, but too many dentists have wasted their time by not having the station prepped for each patient. Aside from getting your scheduling down to perfection, work with your staff to come up with a great routine for prepping the station between patients. Automated scheduling will shave off lots of time for your office and allow this to become a reality. Appointment scheduling has never been easier than with the modern tech of software. Forget the phone calls and refer your patients to online appointment scheduling. By working with automation software, your dental business will make planning for dental care stress-free for both you and your patients. Appointment scheduling also reduces no shows, sends out patient appointment reminders and works excellent with text messages and email. 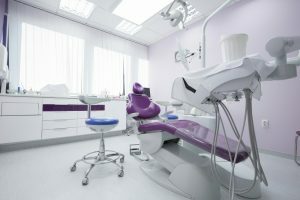 Maximizing production is the ultimate goal of a dental office. This can best be done by creating more time in a schedule for cosmetic procedures like dental implants or more advanced root canals. With programs that automate your schedule, you can easily separate the types of appointments on your plate and when they fit into your overall availability. Dental services in the United States rely on near-perfect scheduling of upcoming appointments. It isn’t easy to reach the goal of perfection without some help. 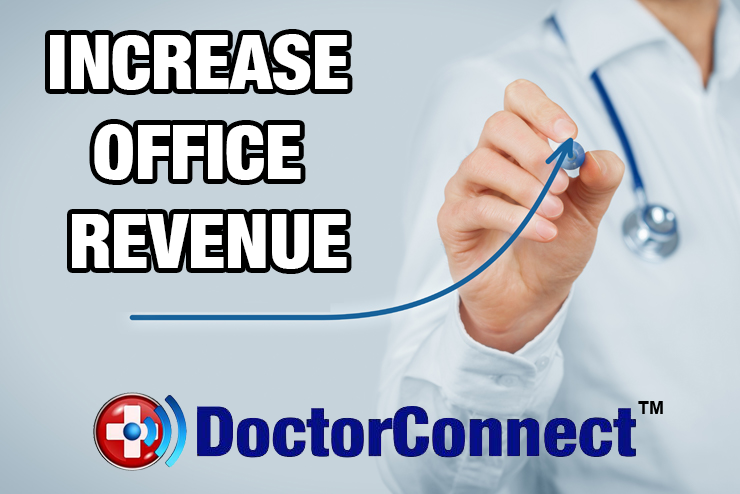 Let DoctorConnect be the software that helps make your office as efficient as you need it to be. Contact us to find out how to schedule a demo for your office today. Everyone wins with automatic appointment reminders. Patients can better plan ahead to receive the care they need. Healthcare professionals slash no-show rates, maintain a full schedule, and save valuable staff time. Two-way text message, phone, and email communication makes notifying and confirming a breeze. No need to chase down patients who miss an appointment. DoctorConnect will reach out for a reschedule. Use your dashboard to simply click the no-show button on a patient’s digital record, and our system will send an instant text alert. Whether it’s time for a yearly checkup or a routine monthly visit, send custom recare messages to individual patients or groups who meet designated criteria. Set the message content, choose a timeframe… we’ll take care of the rest. Enable this add-on service and DoctorConnect will follow up with automatic quality of care surveys, helping you take charge of your practice’s success. Bolster your public image by engaging with satisfied patients and encouraging positive online feedback. DoctorConnect is compatible with hundreds of management systems, so it can easily integrate with your existing scheduling software or operate as a stand-alone program. Comprehensive patient management tools combine for a seamless experience. Tailor and send individual or bulk messages. Help patients stay on top of payments with past due notices. Your practice can do it all without breaking the bank. We offer flat messaging rates, so the more you communicate, the more you stand to save. Switching over to DoctorConnect to manage your office will be the easiest choice of your career. Our software is compatible with hundreds of management systems. DoctorConnect easily weaves itself into your existing scheduling software or other stand-alone programs. The goal of DoctorConnect is to remain engaged with your patients, no matter what language they speak. We offer bilingual support that ensures that all of your patients receive the important updates and care that they need. Our software is built to increase the efficiency of your office. One of the key features of the DoctorConnect is the ability for the software to be customizable to fit the needs of your office. 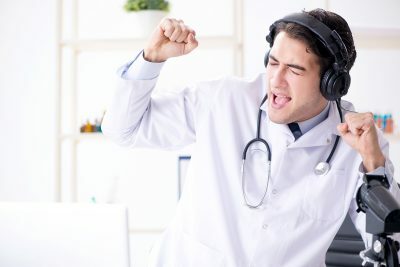 One unique benefit of using the DoctorConnect system is two-way communication. With this you are able to instantly reach out to your patients and correspond with them by any of the standard text, voice, or email methods available. Sometimes even a doctor’s office needs help with their management system. Our support team is always on-hand and ready to answer any of your questions and make your experience with DoctorConnect time well invested. DoctorConnect has been a staple in the healthcare industry for over two decades. We know that patient engagement and efficiency is important, so that is why we are constantly striving to be the best in quality management services for local offices. Thousands of physicians across the nation trust DoctorConnect to keep their business efficient. We are your source for patient engagement in the Medical, Chiropractic, Dental, Veterinary, and Optical fields. Keeping detailed records of patient schedules, no-shows, and reminders is important. We provide the best automated reports that help you monitor your patients and improve your recare and retention rates. 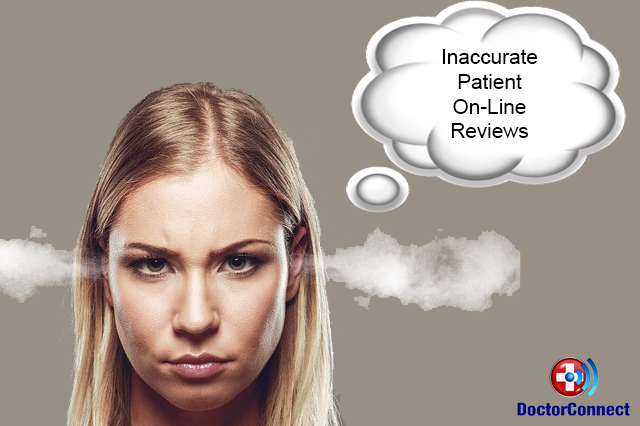 Have you ever Googled yourself or your practice only to be frustrated or angered by the reviews posted by your patients? No matter how hard you work to provide exceptional care, spend time consulting with your patients and staying on schedule, some patients can have a bad experience. It may not be the care provider – maybe it’s a staff member, or maybe the patient just had a bad day. Whatever the cause, your reputation is tarnished. Bad reviews can’t be removed, although you can respond. You may want to consider using DoctorConnnet.net patient engagement software that includes patient surveys. These surveys are automatically delievered the day after the visit by email and text. If you currently use patient engagement software, ask your vendor if the surveys are customizable. Can they be customized for each provider? Can they be customized by appointment type, because you may want to send a different set of questions to a new patient verses a procedure appointment or annual visit. Patient surveys are a great way to provide insight from the patient’s perspective, which can be valuable in improving workflow, identifying staff problems, and improving patient care. Patient surveys can be the catalyst for online reviews. Some software vendors have artificial intelligence to instantly score surveys so only patients whose surveys score high are invited to post online reviews…giving you control of your online reputation. And you can to choose your review sites – Google, Yelp!, Healthgrades, Facebook, etc. These reviews are legitimate because patients are posting their survey comments. There is nothing you can do about bad reviews except bury them with good ones. 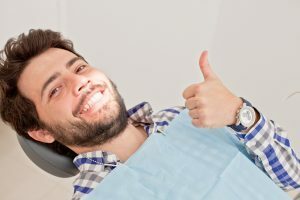 Good reviews mean more new patients. More new patients equals more revenue. Most consumers read reviews so if you have disregarded your online presence, or just haven’t known how to optimize it, it’s time to get serious and take control. Contact me and I’ll show you how. Need help optimizing or selecting patient engagement software? Choosing the right vendor, or making sure you’re current one is a good fit, is crucial to your success. Success meaning revenue, efficiency…and your stress level. Patient engagement software should positively impact your entire office – front office, back office, marketing and clinical. If it isn’t, you may want to clarify with your current vendor what they offer to make sure you’re using all features, or you may just need to look for a different vendor. Being stuck with the wrong vendor can sacrifice your revenue and your sanity. If you aren’t using automation yet…it’s time to get with the program! The right technology, fully engaged, will become an invaluable asset that boosts revenue, increases efficiency, reduces overhead, improves patient experience and improves your online presence. This can mean big bucks for your practice or healthcare organization. It is possible to find a vendor that has it all. A veritable one-stop-shop with reminders, no-show management, recalls, 2-way texting, wait-list management, lab result notifications, time-block messaging, bulk messaging, surveys, payment reminders, online reputation management, online scheduling, micro sites for expanded online presence and reviews for your own website. If you’re using multiple vendors, you’re probably spending more money than necessary. This article is focused solely on appointment reminders, but this is the first in a series of articles to enlighten you on available features and best practices for use. REMINDERS: Using text, email and voice calls combined has proven to result in the highest response rate, and having all three types covers all age demographics. Plus, it is nice to give your patients options. You should have the ability to set the patient’s preference for the reminder type(s) they want. The software should also offer multiple delivery intervals. For example: deliver reminders 3 days prior to the visit, then send a follow-up the day before. If you choose multiple intervals, the software needs to have the ability to knock out patients who have already responded so they don’t get additional reminders. Otherwise, you run the risk of overwhelming or annoying your patients. With more advanced technology, appointment reminders can be customized by appointment type which is great if you need to communicate prep instructions prior to the visit. Embedding your address makes it easy for patients to Google map their way to the office (essential for multiple locations where patients cross locations). Including the patient’s first name is ideal if you see multiple family members or if the caretaker is responsible for multiple patients. Having the ability to customize the response to patients based on whether they have confirmed or rescheduled allows you to communicate further instructions. The more information you include in reminders, the lower your call volume. You don’t want to field unnecessary calls and patients don’t want to call you and wait on hold. Automating doesn’t mean you lose touch with your patients – it actually improves communication. If you are using or would like to use text message reminders, select a vendor who can deliver messaging to all cell phone carriers. Some carriers will block messages that originate from a short code instead of a regular phone number, known in the industry as a long code. Some vendors can also get black-listed by some carriers for violating terms. These will have a negative impact on delivery rates, and therefore, your revenue. Some practices think that if they’re using appointment reminders through their portal, they don’t need a separate vendor. Keep in mind that portal adoption is around 20-30% so you could be leaving over 70% of your patients out of receiving reminders and recall notifications. If you aren’t reminding everyone, you’re losing money. By using the messaging in your patient engagement software to include a link to your patient portal, it can help increase portal adoption. Be aware, some vendors will mark appointments as confirmed when they’ve only sent messages, not when patients reply. So ask the question to make sure you know what you have or what you’re buying. It skews the numbers and negatively impacts your revenue by leaving holes in your schedule. Final note: I am frequently asked if reminders have to be opt-in or opt-out. Appointment reminders are considered part of treatment under HIPAA, so only an opt-out is required. Find a vendor who does not require opt-in. The easier the process, the higher the adoption rate. If patients are not opting in, you’re left with holes in your schedule, costing you money. Find a vendor who does opt-out only. Both text message and emails should contain opt-out information and once a patient opts-out it should be the vendor’s responsibility to remove them, although you should have the ability within the software to re-subscribe. Chiropractic Appointment Reminders are the fastest way to decrease no-shows and free-up important staff time. Let your staff focus on the care of your patients, and let DoctorConnect automate the repetitive time consuming task of reminding AND confirming your appointments. DoctorConnect is experienced in working with many chiropractic offices utilizing a wide range of patient management systems. Some of the systems we already integrate with include Software Motif, ChiroTouch, FutureHealth, CompuLink, Eclipse, and Allscripts. We are capable of interfacing with almost any inhouse PMS or EMR system that you may already use. Most of our competitors offer reminders by voice and email, and some of them are now offering SMS text reminders. DoctorConnect uses all 3 of these channels as well, with one big difference – all of our channels are 2-way communication paths. This means that no matter which reminder the patient recieved first, they can act on the reminder immediately and make a real-time confirmation or request a reschedule. 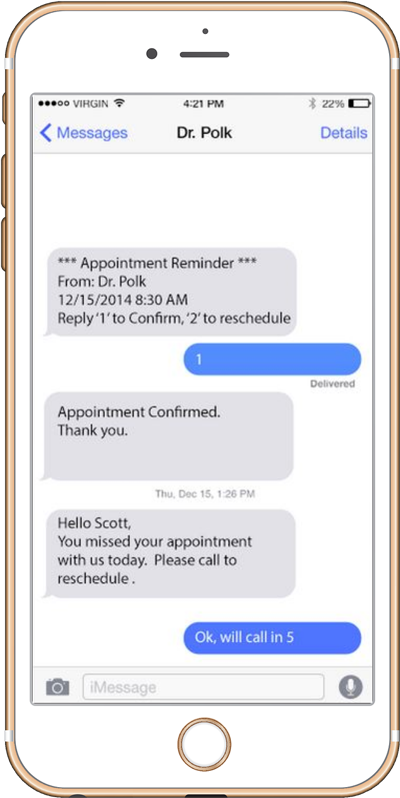 At DoctorConnect, we’ve found that using 2-way SMS text-message as your primary reminder type will greatly increase the delivery, read, and response rates of your appointment reminders.